Hiding in My Craft Room: Day 4 of 12 Giveaways! This set includes 2 embossing folders 5" X 7" and 2 that are 4.25" X 5.75"
All you have to do to get entered into this Awesome giveaway is leave a comment on this post! Leave a comment sharing your favorite crafty technique! I absolutely love embossing! I think it adds that special something, TEXTURE!! And it's super easy and fast! I really like that!! awesome giveaway! I love embossing too, dry and wet! This would be great to inspire me to use my cuttlebug. My favourite technique is shaker boxes. I find I can put all kinds of little items in them to highlight a page or a card.They are fun to make as well. I have about 50 bottles of Stickles. So have to say I love the bling it adds. it is a great giveaway! I love embossing too! A favourite technique? Hmmmm ... Probaby messing around with texture paste and stencils and/or embossing. Can't decide between the two, because they both add beautiful texture to the projects. I don't really have a "favorite" technique as I love so many of them and it depends on the project as to what I'm doing. I love to emboss, ink, apply glitter/glossy accents/white gel pen, and I'm trying my hand at coloring some too. My fav technique of late has been using the MISTI tool for stamping. The MISTI is wonderful since if you do not get the entire stamp stamped then you can ink again and stamp it again in same location properly lined up. I love embossing, and this is a set I do not have! my fave technique would probably be using inks as a coloring medium, like paint. I like making cards personal for each person I am sending it to. Cards take allot of time but I find embossing can make a very pretty card quickly. I like just the effect of the embossing but I sometimes ink the raised parts to give it a little extra punch. I love embossing as well, good for simple cards as well as the more involved ones. My favorite technique which I will be doing more of for 2016 is embossing. I will be trying the masking technique as well for 2016. I love embossing as it makes a simple card stand out. I love making cards because they brighten people's day. 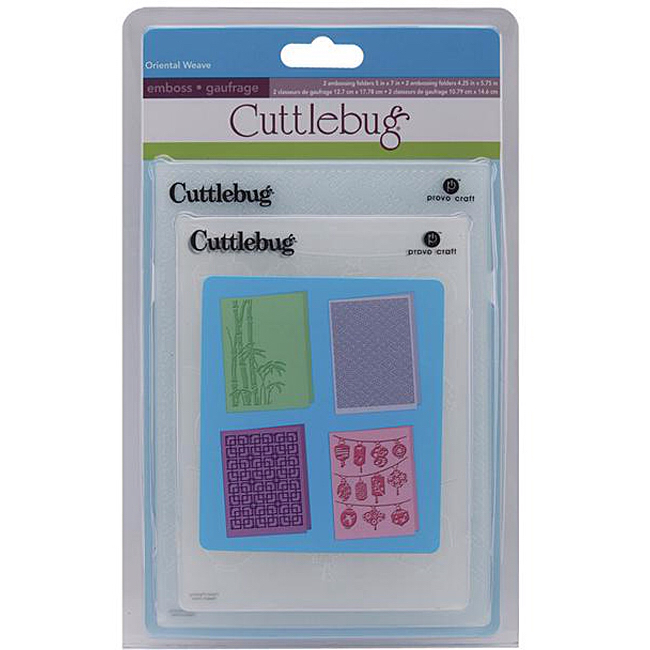 Thanks for the chance to win these embossing folders and for sharing your ideas with us. Oh... what a great giveaway! Thank you so much! I do love heat embossing and hand colouring with my Spectrum Noir, Pencils or Distress Ink. WOW such a generous and tempting prize. My favorite crafty technique is making interactive cards! This is an awesome giveaway! I love the look of these embossing folders! My favorite technique coincidentally is embossing - either wet or dry. I love the look. I am excited about winning your giveaway! Thank you so much! What a great giveaway! I don't know that I have a "favorite" technique; but I do love embossing both dry and especially heat embossing!!!! Thanks for the chance to win! Ooh! I love embossing folders and I have to say that one of my favourite techniques is using them. Here is one way I discovered recently to use an embossing folder. Press it into wet acrylic paint. Using my Swiss Dot folder and Ultramarine Blue paint, I made an instant and easy starry night sky. Just make sure to wash your folder immediately. Thanks so much for this give-away. Someone will be very lucky to receive it. Right now I'm into foiling quite a bit! Happy new year! Best wishes to you and yours. I love coloring with copic markers and using embossing folders - thanks for the chance to win!!! My favorite technique is stamping, followed by embossing! Like you, I love the easy way to add texture with an embossing folder. What a wonderful giveaway for the new year! My favorite craft technique is heat embossing. I love the way the embossing powder melts and turns into something completely different! I love many techniques, embossing is one of them. One of my resolutions is to try new things. One of my favorites is paper piecing. I love that you can use a variety of paper using that technique and use up scraps too. I have to pick a favorite?!? LOL I suppose that faux stitching is probably about my favorite. So many times it just adds that "little something" that is needed to finish off a project. WOW Awesome embossing folder, i love embossing technique and mixed with glitter, spray, chipboard, retired metal and all about mixed media :D.
Mixed media technique is my fav! I'd want to learn CAS. I always made layers card. It's hard but i will try to make one! I received watercolors tool! i really want it and finally my mother kindly gave it as a presents in Christmas. I still trying to learn how to use it, and the move of the brush really a hard thing to do. I think i will get used to it in no time. Still learning now. Hands down....my favorite technique is heat embossing. I esp love doing my double layered embossing and my molten technique!!! There's a tie for me, I love to emboss but I also love Stickles. My goal this year is to try different techniques....who knows, I may find a new favorite. Loves these embossing folders. I use embossing often and love the ink sprays too! Thanks for the chance to win! Thanks for the chance to win (I'd definitely fancy winning those folders). Don't know if keeping-things-simple can count as a technique but that is what I love to do. More or less cas is my style. I enjoy embossing & die cutting. What a fab giveaway. Thank you. I love heat embossing. I love to see it melt and transform. Amazes me. I love using dry embossing as a technique, but I always, always seem to be using die cuts of some kind (electronic or manual) on my projects. I enjoy heat or dry embossing. I agree with you-they are both fairly simple and add so much to a project! My favorite is stamping but I like alot of others too.